The most successful Norwegian road cyclist of all generation is undoubtedly Thor Hushovd. He is the member of the BMC Racing Team at present and is all set to ride for the Tour de France. He is also known as the Bull from Grimstad as Grimstad is his hometown. He became a professional bicycle rider in 1998 and since then has never looked back. Well known for time trailing as well as sprinting, this Norwegian star has been the World Road Champion and Norwegian champion in 2010. Last year was not very much favorable for him as he suffered with an inflammation and viral infection of muscle. He could not stay at the circuit for more than 28 days but has high hopes for this year’s Tour de France. Thor Hushovd started 2013 on a positive note with a winning streak. He came out victorious at Tour de Haut Var over To, Jelte Slagter at stage 1 level earlier this year in February. This was his first win ever since his great performance at the Tour of Britain in 2011. He joined BMC Racing Team last year and this was his first win with the team as well which has immensely boosted his confidence for the July grand tour. His trainer confirmed that he is strong and in his best form right now ahead of the July tournament. Here is a glance at some of his major achievements. •	Tour de France- 10 individual stages and Points classification in 2005 and 2009. •	Giro d’italia- 1st stage. •	Vuelta a Espana- Points classification in 2006 and won 3 stages. •	UCI World Race Champion in 2010. •	Two times National Road Race Champion in 2004 and 2010. •	Three times National Time Trial Champion in 2002, 2004 and 2005. •	Under 23 World Time Trial Champion in 1998. Thor Hushovd, the 35 year old Norwegian recently told the press that he will try his best to be a part of the Tour de France, given that he recovers from his respiratory problems soon and on time. He was the first Scandinavian cycling professional to take part in cycling world road championship and was also the first ever Norwegian to lead the Tour de France. Because of his records, he is also known as the best Norwegian cyclists of all time. He is also the only Scandinavian with most number of grand tours. Hushovd is a part of the BMC Racing Team. After the Tour of Britain in 2011, he did not have many significant wins but he made his breakthrough in 2013, in the month of February by winning the Tour du Haut Var. this was his first victory as a part of the BMC Racing Team. He beat Tom-Jelte Slagter from the Blanco Pro Cycling in this win of his at the Tour du Haut Var. After a respiratory tract infection, there were questions about his ability to take part in the Tour de France. But he is recovering now, according to reports. He also said that he is looking forward to take part in the Ronde Van Vlaandere which is very important to him. In the year 2010, he had passed many stages of the Tour de France in even the most difficult terrains and that is one of the strong points which Hushovd possesses. He is looking forward to win at Flanders too. He said that it’s always been his dream to be up on the podium and he hasn’t been able to do that yet but this year looks promising for that opportunity as well. Norwegian road racing ace Thor Hushovd ended his frustrating victory drought, winning the pole position at stage one of Tour du Haut Var in France. This was the 35 year old rider’s first win after he won the stage four of Tour of Britain in the year 2011. Though a lot was said, written and expected after Hushovd moved to BMC in 2012, the 2010 world champion was brought down by virus and muscle inflammation which kept him out of action for much of the season; Hushvod raced for a total of 28 days during the 2012 season. The best he could do in 2012 was winning the fifth position in stage 7 at Paris-Nice. However, during his win in the BMC colours, Hushovd showed that he was back with a bang, hitting a line ahead in La Croix Valmer and taking home the winner’s jersey. Hushovd defeated Tom Jelte Slagter of Blanco Pro Cycling, the winner of Santos Tour Down Under, Arthur Vichot of FDJ and Samuel Dumoulin of Ag2r La Mondiale, among others, to win the 152 km race. After the win, Hushovd said, “This is a big win for me, especially after the last year which was so frustrating and depressing. It was hard on me mentally as well. I am not sure what went wrong last year and saying no to the Olympics, Tour de France and the Worlds and not being able to do anything for the team was definitely not a good feeling at all”. Hushvod added that he was grateful to the team for supporting him the whole while and helping him to come out at top during the Tour du Haut Var. He also thanked the other riders of BMC for their effort. Though this was Hushovd’s first win for the American team, he said that he hoped to clock up a few more this season with Paris-Roubaix as his prime target. 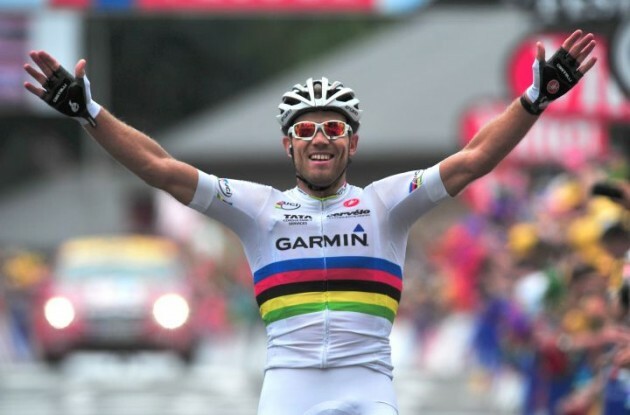 Having a relatively poorer year last year 2012, Thor Hushovd registers his first win in 2013. The champion cyclist and an important member of BMC Racing Team from Norway, Thor Hushovd was slightly under pressure after having non-productive year in 2012, but he has been back on track once again. He went on a winning spree right from the beginning of the opening part or phase of the Tour du Haut Var in Norway. The cyclist has not been on the winning podium since September 2011. The cyclist was overjoyed again to cross the finishing line ahead of all his competitors in Tour du Haut Var on February 17, 2013. The champion cyclist faced a few physical injuries since last few months which kept him away from the cycling arena. He also suffered from virus infection and muscle inflammation all during the last year. However, Thor Hushovd was pretty hopeful about making a successful comeback. He started his plan for a comeback in 2012 with a better performance when he finished at the 5th place in the 7th Phase of Paris-Nice. It was just a mark of the comeback procedures of this champion cyclist. With this victory right in the very beginning of this year 2013, Thor Hushovd has expressed his happiness and satisfaction over his efforts of making a better performance later in this year which is yet to host many more tours later. His innermost satisfaction can be experienced by his words, “It has been really a big win after a frustrating and hard last year”. He expressed his course of progress en route to bigger victories which he expects to achieve later this year. 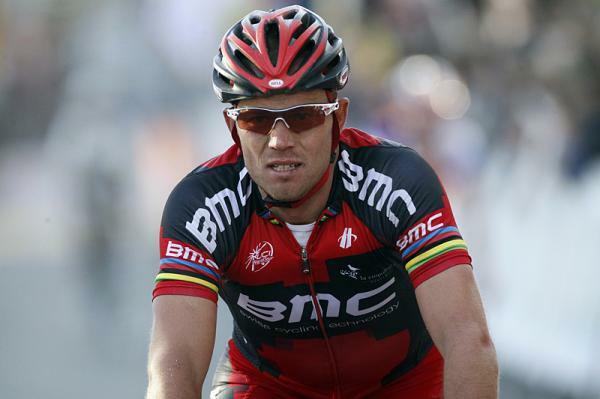 The BMC Racing Team has been hopeful for better ranking for Thor Hushovd. Thor Hushovd, the leading Norwegian professional rider from BMC Racing is reportedly eyeing for a comeback race this year. As per the sources, Hushovd has headed to San Luis, Argentina for his prolonged awaited comeback in racing with Tour de San Luis which is scheduled from 21st of January, 2013 to 27th of January. The high profile 7 days race would be an opportunity for the European teams to check out on their first season form through a bunch of hard stages and would also serve as the desired getaway to a warmer zone in the chilling months. According to the reports, the leading Norwegian cyclist has not been into racing since July last year. He also abandoned Giro d’Italia in 2012 May. In fact, Thor Hushovd had not been able to pick up a good win since 2011 Tour of Britain. As per his team statements, Hushovd was actually down with a serious viral infection that badly affected his fitness and form last season. However, BMC Racing is hopeful about the fact that Hushovd is highly charged up presently to use this current Argentine platform as a portal for his Classics prep. While approached on his focus on comeback with Tour de San Luis, the ace Norwegian professional racer commented that presently he is gearing to getting back on his race pace as he couldn’t be into racing for almost 6 months now. “Also, I am just motivated as well as hungry enough to compete & get start digit at my back. Thus, I would love to achieve a positive result if I get to be in the form”, added in Hushovd while speaking about his comeback mission through Tour de San Luis. Much like Hushovd, his teammate T Van Garderen is also concentrating a comeback with the San Luis race this time.